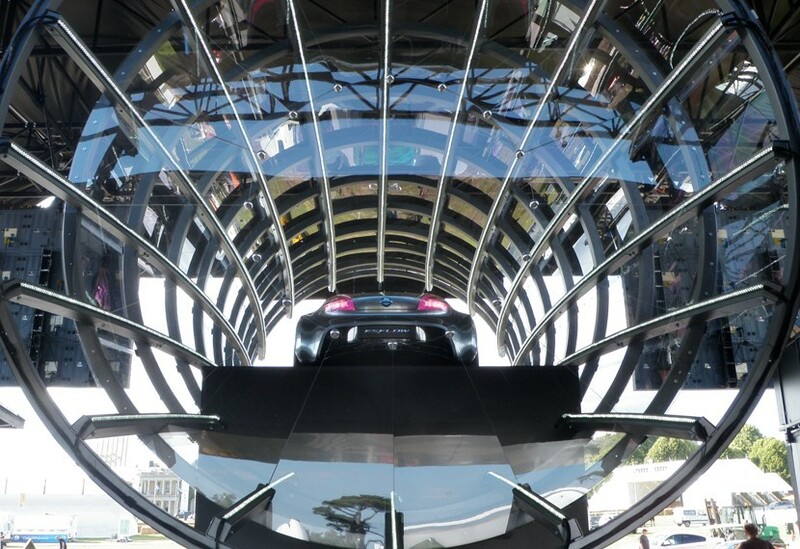 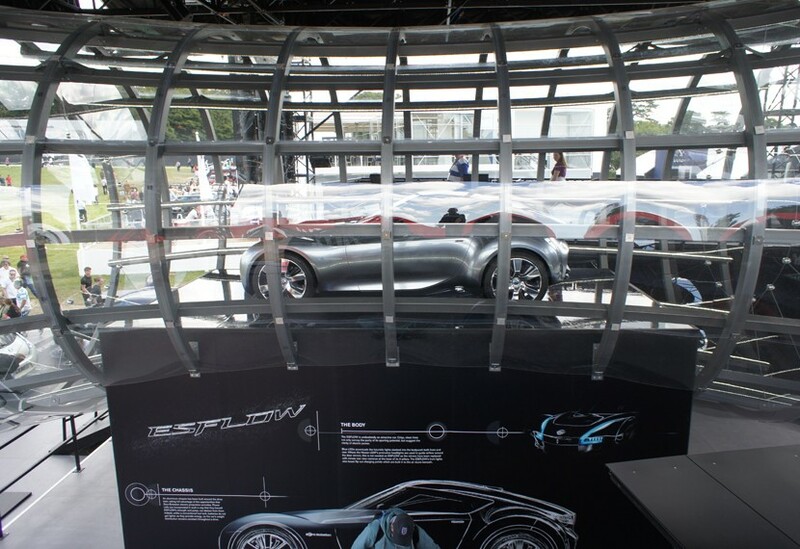 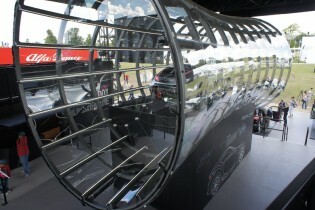 With an appropriately fast turnaround, we manufactured and installed this ‘wind tunnel’ and 3m high platform to display a valuable Nissan concept car at the Goodwood Festival of Speed. 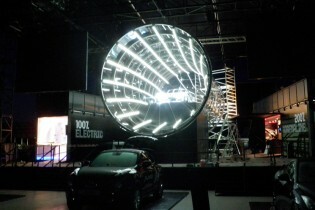 The structure consisted of a steel frame with a series of 11 steel rings, 5m in diameter at each end of the tunnel and narrowing in the middle. 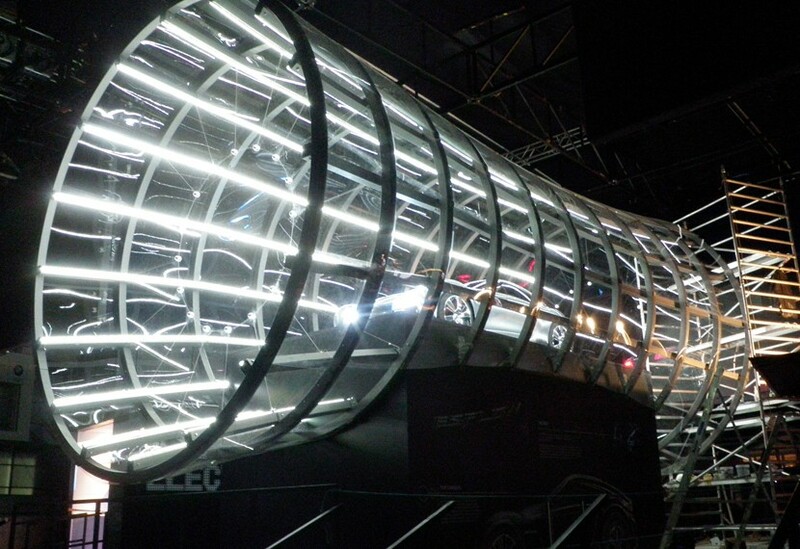 The tunnel was then clad with 2mm polycarbonate by others, before we installed rope lighting along the horizontal bars.